It seems there’s always bad news to accompany the good nowadays, am I right? And since I am bursting at the seams to share this beautiful and sad news, here is goes. This morning was my first scheduled ultrasound. We just closed on Week 9 and are beginning Week 10 in pregnancy one, and I’ve been sick as a dog. Well, sick as a dog that isn’t exactly throwing up but is instead manifesting her sickness through a combination of food aversion, anxiety attack, depression, and all around lazy bitchiness. I’m hot – then I’m cold. I’m sorry – then I’m mean. I’m happy – then I’m sad. Poor City Boy … I don’t even like putting up with myself for crying out loud! I honestly don’t know how he can stand it!! Knowing the big ultrasound was scheduled for today, I naturally began having bad dreams about a week ago that the baby has died. I imagined laying on the exam table and the tech not being able to find the baby. No heart beat. At the time it seemed like an omen. So, I started sinking into a funk, telling myself that I am silly to think I could have a baby. “Not ME! Why am I getting my hopes up? Don’t I know that babies are for OTHER people?! ?” And so it went until I had driven myself into such despair that I remained in my pajamas, on the couch from Saturday night until Monday late afternoon. Wallowing in self pity and impending doom. This morning, I tried to keep calm. The City Boy was unable to get the morning off, so my grandparents attended the inaugural ultrasound with me. My heart was in my throat as the tech squirted the hot goop onto my belly and started twirling the wand around. “Remain calm”, I thought to myself. “Don’t get excited.” Suddenly, I saw a little blob on the screen. “Could it be? … Could it be? YESS!! It is!! A little person! !” I watched as the tech tried to get several measurements and each time the estimated gestational age reading at the bottom of the monitor stated 8 weeks and some odd days. At first I thought nothing of it, but then I started thinking … maybe the baby is dead, and it hasn’t grown since I was 8 weeks along. Maybe I’m looking at the corpse of my little baby and my body hasn’t started the whole elimination sequence yet. This morbid line of thinking continued for several more minutes, as I just watched the different views of the little body. Suddenly, my brain returned to normal and I remembered to ask about the heartbeat. Suddenly, the tech hit some MAGICAL button which released this BOOMING heart beat into the room. And then, on the bottom of the monitor I could see the heart beat being charted across the screen. 180 beats per minute! That’s my kid alright! Stellar cardiovascular health, of course! So, that was the fun part of the appointment. Baby is alive, baby is thriving, baby is the cutest thing ever! See how photogenic?!? Then, it was into the examination room to meet with the doctor about a little thing called high grade cervical dysplasia. As I have discussed here, I was diagnosed with this vile condition on Christmas of 2008, and have since then been seeing a gynecological oncologist. Her mentality regarding my state is to continue monitoring the dysplasia via regular pap smears, colposcopies and biopsies (when necessary) to make sure the cells are not spreading or morphing into invasive cancer cells. According to her (and she has many years of research to back this up) many women’s bodies, if allowed the time to do so, will fight the damaged cells and sometimes reverse completely without the need for invasive procedures. Therefore, she has taken the “let’s keep an eye on it” mode of operation. Well, my ob/gyn has a difference approach. He wants to perform a LEEP procedure like, YESTERDAY! He immediately began telling me that his job is to treat ME, and the pregnancy SECOND. “What good is having a baby if you die of cancer and can’t take care of it? Blah Blah Blah.” I asked why we couldn’t just wait until AFTER the baby is born to go through with a LEEP and he gave me a bunch of crap about the cells progressing into cancer by then. Ah, the beauty of having SEVERE dysplasia versus just “run of the mill” dysplasia. So, if we perform the LEEP now, we run the risk of miscarriage. If we perform the LEEP at 20 or so weeks, we run the risk of pre-term labor, and in either case we have the probability of incompetent cervix. We debated for a few minutes on the topic. I understand his point of view … it’s better to have a miscarriage now than to lose the ability to EVER have children, and perhaps risk my life (even though that seems highly doubtful to me) but we’re not talking about a POTENTIAL baby. We’re talking about one that already has a heartbeat of 180 bpm. So, I told him I’d like another opinion. With that, he called another oncologist and forwarded my records to him to have a look-see. So, on Friday of this week I have a follow-up with my previous gynecological oncologist for a colposcopy and biopsy. Even though I think she has a tendency to be too laxed on the issue, I trust her most at this point because she knows my case history, and can probably gauge my cell progression with most accuracy. In the meantime, I will relish on the fact that I have a healthy baby that seems to be doing just fine where he/she is. And until I receive adequate enough reason, that is where she will stay, with no threat of messing with her cozy little environment. HOWEVER, if you know of anyone who HAS gotten a LEEP procedure during pregnancy, please let me know how it turned out. Miscarriage? Pre-term delivery? Healthy baby? 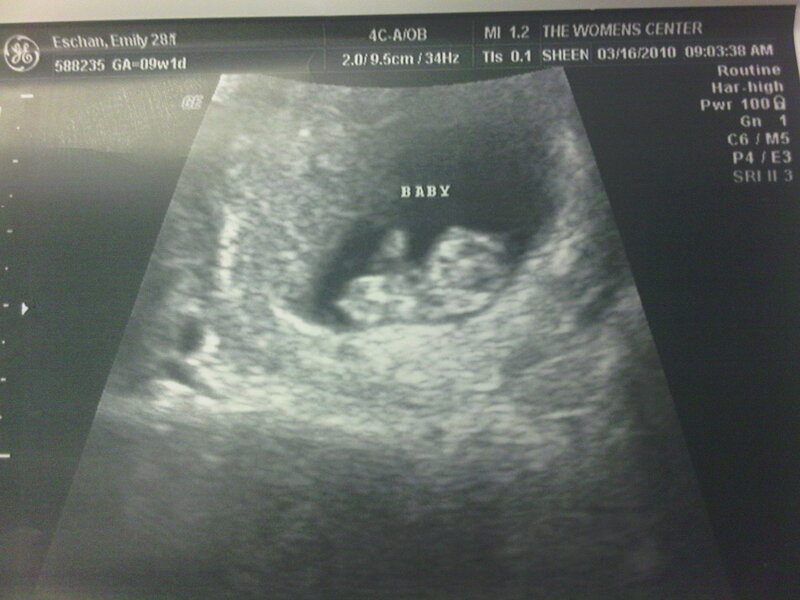 This entry was posted on Tuesday, March 16th, 2010 at 7:32 pm and is filed under Baby!, Life! !, Momentous. You can follow any responses to this entry through the RSS 2.0 feed. You can leave a response, or trackback from your own site.